An ‘elite’ (otherwise known as small) FACES Team–Dana Smith, Kelly Jensen and Tom Albert just returned from an exciting visit to Peru! 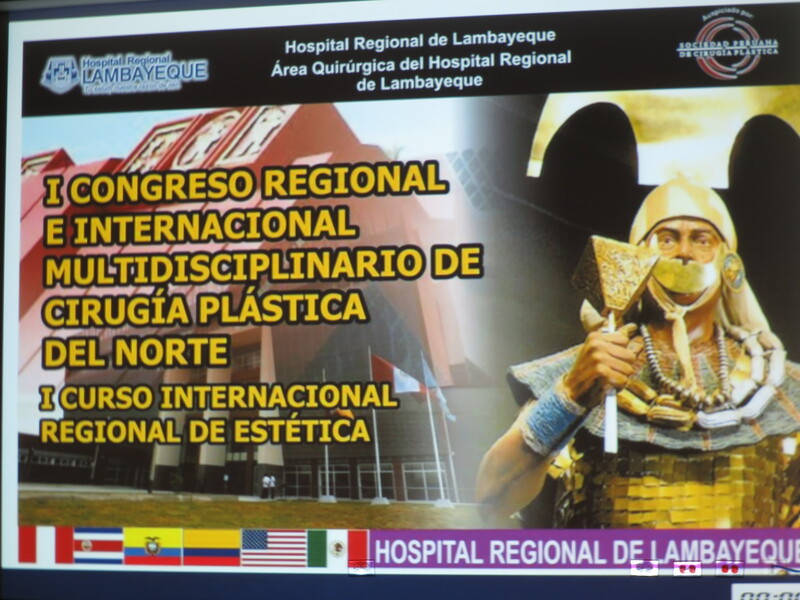 The main reason for this trip was to take advantage of an invitation to present lectures at the Peruvian International Plastic Surgery Association meeting in Lambayeque August 7th & 8th. This provided an opportunity to meet more Peruvian surgeons and establish more collegial connections to enhance our work in the region. Dana Smith-Lead Surgeon for FACES-gave three outstanding presentations about overall cleft care and specifics on techniques, particularly for more difficult problems. His PowerPoint and talk were entirely in Spanish, which really impressed the assembled masses. Kelly Jensen-Chief Strategist / International Coordinator and interpreter extraordinaire, did a wonderful introduction about FACES-who we are, how we are committed to high quality, multidisciplinary care for indigent cleft patients, local partners etc. The talks were well received, and maybe most importantly it gave us a chance to meet some of the Peruvian leaders in surgical care for cleft patients. In fact, we were invited to give further talks in Lima at the main medical school this fall. 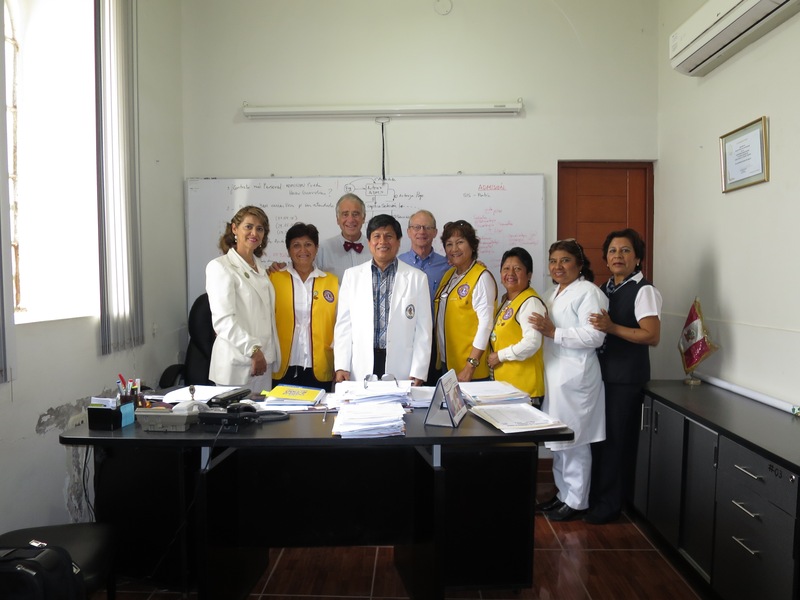 We had the opportunity to have open discussions with the Peruvian Lions–that wonderful group of women who do so much for our patients and for us. They arranged for us to meet with the Hospital Directors at both Hospital Belen and Hospital Regional. This gave us a chance to review our upcoming November screening trip and the surgical campaign that follows (January 29-February 6). 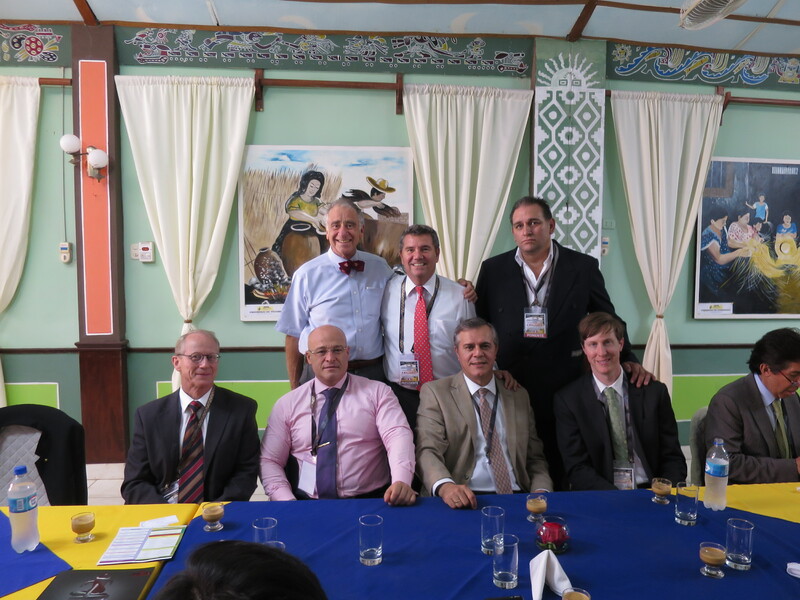 We also met with the Governor of Lambayeque, Mr. Humberto Acuña and his Minister of Health, Dr. Victor Torres Anaya. They were all very supportive of our efforts and promised to help resolve some of the ongoing issues concerning anesthesia equipment and staffing. A great highlight was a somewhat impromptu presentation we made to a group of rural Catholic Priests assembled in Chiclayo for training under the direction of Monsignor Robert Prevost. We explained what we are doing, and asked their help in finding cleft patients in their areas. Kelly, in his usual suave and erudite manner and impeccable Spanish, held them practically spellbound! There was enthusiastic questioning and an expressed desire to help us as best possible. 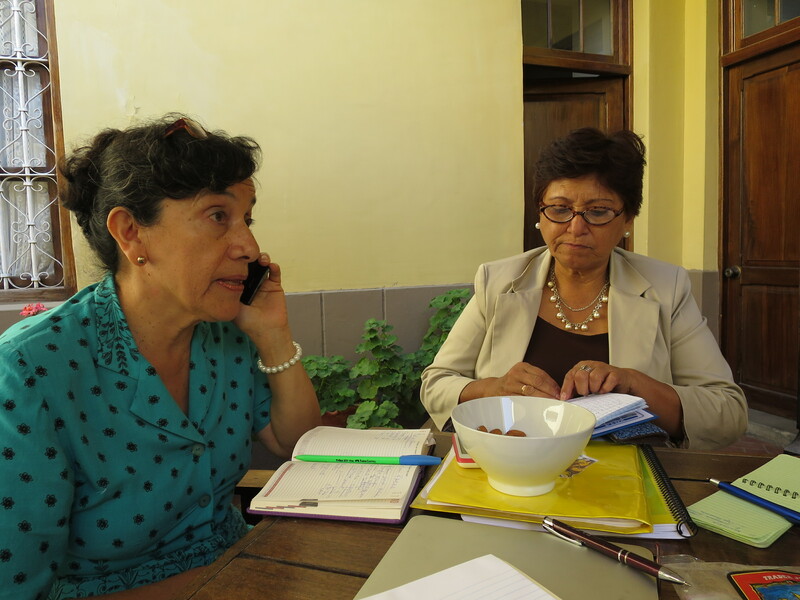 Tom and Kelly met with Mercedes Uriarte from Cafe Femenino and Teresa Bancallan, President of the Lambayeque Lions Club Ciudad Evocadora. We discussed the November trip plans, which will include the Cafe Feminino meeting and a combined trip (FACES, Cafe Femenino and Lions) to Chinyama. Here the plan will be for the Lions of Lambayeque and of Portland to do vision screening for all village inhabitants, giving out glasses as needed. Additionally, the Lions will initiate Pterygium screening and prevention education in the schools. – a huge step in a collaborative effort to a very needy village, and hopefully a model for future efforts in other Cafe Feminino villages. We met with the current owner (and grandson of founders). 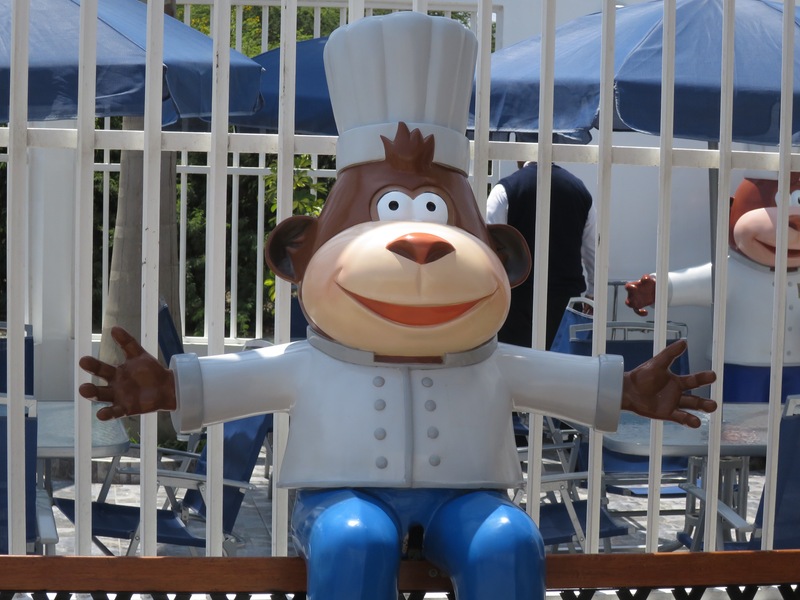 San Roque candies and pastries are famous throughout Peru and much of Latin America. They are willing to become sponsors/supporters of our efforts and will come to the screening in November-along with a big King Kong figure. We hope our partnership will expand with time. There are obviously a lot of details to work on, but this trip was extremely helpful. 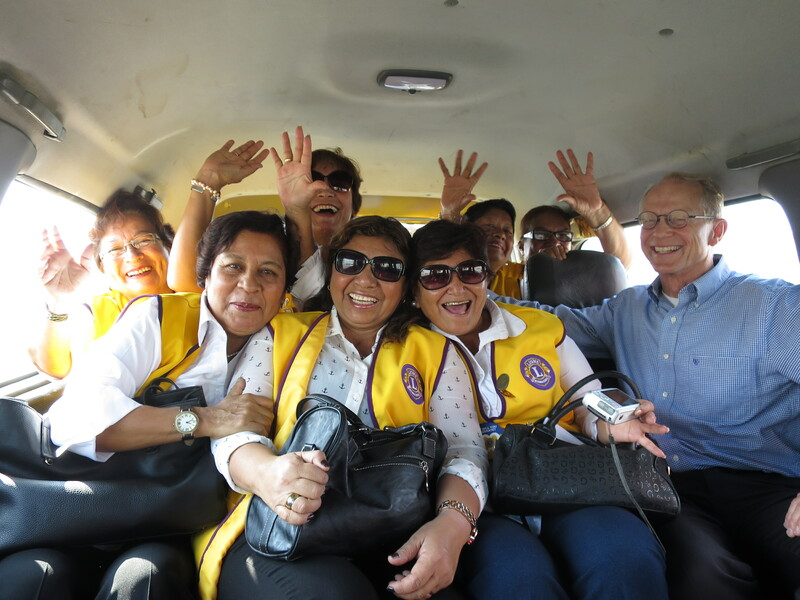 It is important to keep going back, following patients, shoring up local support and gaining new friends. We’ve come a long way-and look forward to improving our imprint in a sustainable way. Previous Post Our Benefit Auction is coming up!